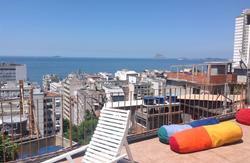 Welcome to Beach Backpackers Hostel, Rio de Janeiro! Our mission is to provide comfortable, secure and clean accommodation to the budget traveller. We offer competitive prices and extras such as free breakfast, free internet and Wi-Fi, free lockers and free bed linen and towel. Our 24-hour reception is operated by helpful staff who are ready to answer all of your questions and offer the best advice about the local area. We have private and dormitory rooms available with en-suite or shared bathrooms. Our spacious rooms have modern furnishings and new comfortable mattresses. Our Wi-Fi signal is strong throughout the building so you can even check your email in bed! 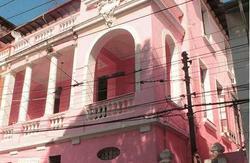 Our hostel is situated in Botafogo - a safe, central location. Within walking distance of our hostel you will find Botafogo Beach (5 min) where you can see the famous Sugar Loaf. You can also walk to the world-renowned Copacabana Beach (18 min). Were beside many great local amenities including the metro, bus stops to all tourist attractions, trendy bars, restaurants, night clubs, frozen yogurt stores, juice bars, supermarkets, local markets, two large shopping malls, 24-hour ATMs, pharmacies and a public hospital. Our large social area offers a great place to relax on comfortable couches. You can make use of our flat-screen TV which has satellite channels for watching sports and movies. We have a great selection of DVDs, a PlayStation 2, a book exchange and board games. Youll also find free internet stations with Skype headphones and free Wi-Fi with a strong, fast connection. Theres a guest phone for receiving calls from home or for making local or international calls. Our fully equipped kitchen has two large fridges for our guests to store food. We also have a built-in water filter to top up your drinking bottles with fresh filtered water. 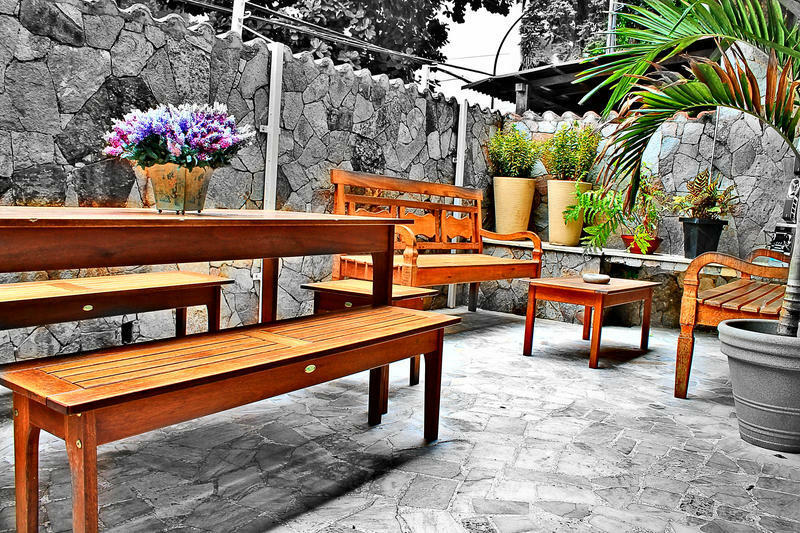 Our private courtyard garden is a peaceful space to chill out and enjoy morning coffee or have an evening drink while listening to music and getting to know your fellow travellers. We also have regular BBQ nights here with really excellent food and a fun party atmosphere. We have a fantastic night-life guide for travellers who are keen to party, including information for gay and lesbian backpackers. We have loads of ideas for people on a tight budget and for travellers who want to splurge and treat themselves to a great Brazilian meal. We also offer the best tours available to all tourist attractions in Rio including the Sugar Loaf, Christ Statue, Maracan Stadium, the Botanical Garden, Santa Tereza Stairs, and Lapa host of a major street party every Friday! We offer packages for all the major events in Rio, helping you to get the most out of our incredible city. All events listed below require a 50% deposit in advance to confirm your reservation. New Year's Eve: We have a minimum stay of four nights from 28th December to 3rd January. You must book a minimum of 4 nights inside this date range. Otherwise your reservation may be cancelled and you lose the deposit paid online to Hostelworld. Carnaval: We feature a seven-night package for Carnaval every year. If you book any night during this range we automatically include you in our package, otherwise your reservation may be cancelled and you will lose the deposit paid online to Hostelworld. Bookings for New Year's Eve and Carnaval can only be cancelled one month before the check in date, deposits are non-refundable. You'll find our hostel listed on Google Places. 1. From the arrivals hall follow the signs to the bus stops which are at the front of the airport. 2. Take a Real Bus Company bus (large blue buses, cost B$7). Ask to get off at the stop in front of Botafogo Beach. 3. 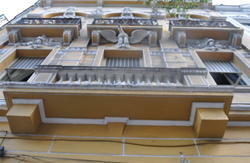 Look for Rua Sao Clemente (walk south with the beach on your left and the shops on your right, there is a tall shopping mall one block away from it). 4. Walk up Rua Sao Clemente for four blocks and turn left onto Rua Guilhermina Guinle. 5. The hostel is number 95 on this street, it is on the right hand side. Taxis are available outside the airport, only use the yellow taxis. Give the driver the address. A taxi from the International Airport will cost approximately R$50.00. 5. The hostel is number 95 on this street, it is on the right-hand side. Taxis are available outside the airport, only use the yellow taxis. Give the driver the address. A taxi from the International Airport will cost approximately R$35.00. 1. Go to the bus stop outside the station. 2. Look at the front of the buses and take one marked for 'Botafgo'. It will cost $R2.70. 3. Get off the bus at the start of Rua Sao Clemente. As you exit the bus station you will see some small offices. Here you can get a fixed price ticket for your taxi, we recommend using the Novo Rio Coop Taxi Company. Once you get your ticket go to the taxi rank which is just outside the exit, give the driver our address and pay when you arrive at the destination. It will cost approximately R$25.00 depending on how many large bags you have. We offer a pick-up service to and from the bus station, national and international airports and Ilha Grande. Guests who wish to avail of this service must give advanced notice. The fixed cost of these services starts at R$35.00.